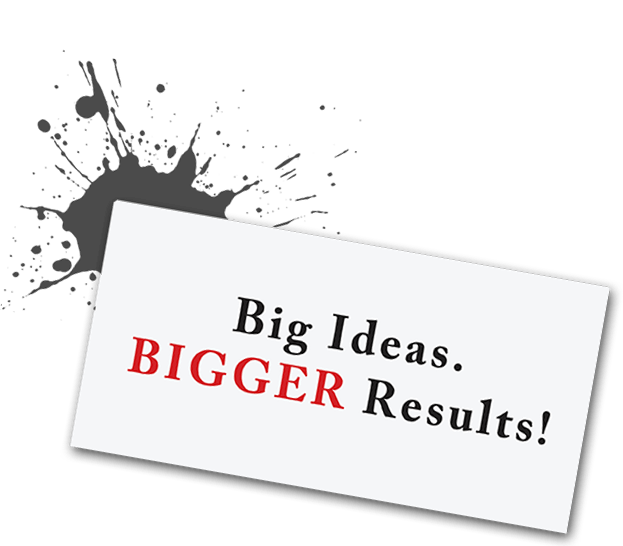 What happens when you have multiple goals to achieve for a single product or service, but a limited budget to meet those goals? You hire an expert who can achieve them all in a single, powerful solution. Using client-provided input, we developed a unique die-cut mailer, designed to look like a gift box and mailed to the key target market in a sleek poly bag. The headline read, “What will you do with more?”, and upon opening, members were “rewarded” with a higher credit limit in addition to the rewards program. This “gift” and “reward” message put a positive spin on the push to get customers to increase product usage: a win-win scenario. Plus, the use of die-cuts and a clear plastic poly envelope made this mailer highly disruptive, and therefore, effective. Who can resist opening a gift?! 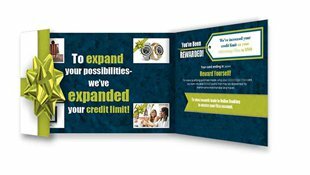 Once inside, our variable data capabilities allowed each mailer be completely personalized, with each customer’s name and new credit limit increase inside the card. Behind the scenes, our sophisticated high-security safety protocols were more than apt to ensure sensitive data was handled properly, start to finish. 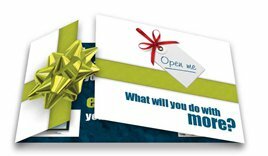 LET US HELP YOU INCREASE YOUR DIRECT MAIL RESPONSE. The business card. 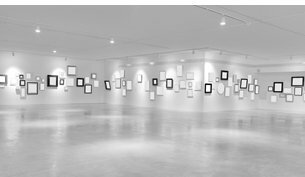 Still often the first representation of a brand to a customer, the lasting tangible artifact in their pocket, and a powerfully important communicative device, even in today’s digital world. So how do you stand out in today’s landscape? The surprising answer is to bring it back home. Today, everyone has shifted to online print houses, where prices are cheap and service is fast. But quality lacks, and, the truth is, they can’t hold a candle to the capabilities of modern print shops. Pixos Print innovative tools and equipment give our customers’ cards the edge they need. Our team prints flawless, vibrant color on a stock as thick as you’d like. We specialize in thicker stocks, bolder branding, variable printing, and smarter rollout strategies. Recently, we had an upscale customer who found themselves wanting to stand out with something unique: a business card with a look similar to tags sewn in suits. Our 360 solution addressed shape, size, appearance, texture and finishing. First we started by departing from the standard rectangle and moved to a square card. We spec’d rich, bold colors we knew the online print houses couldn’t touch, but that our equipment was built to make. 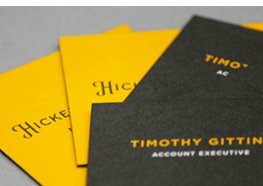 Then we really gave them something to hold onto… we printed one side of two sheets and seamlessly glued them together to net a 38 point thickness – as thick as a credit card, but with the look and feel of paper. We put the finishing touch on these one of kind marketing masterpieces by painting all four sides of the cards. The result was a show-stopping marketing tool that simply couldn’t have been achieved in the great online abyss. Another large customer of ours rolled out a new global branding effort. They needed collated, versioned cards (up to 6 versions per employee) that they could easily roll out to the field. We developed a web to print solution that made ordering easy for the staff. Our digital management team developed processes to guarantee that we could develop fully versioned business cards that hit the mark on a complex branding system. So, in the end, our client can easily order business cards (anywhere, anytime) that are on the right stock with the correct color specifications each and every time. 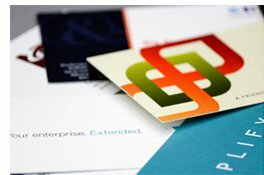 From one-on-one service and design (a far departure from the “upload and take a number” approach) to masterful production tools and techniques (not just a run on tired digital press), the decision to entrust a local print house like Pixos Print to translate your brand into a business card with real stopping power will not be one you regret. If you want to communicate quality, class, and competitive advantage, this is the way in today’s landscape. Does your current business card showcase your business in modern terms? LET US SHOW YOU OUR CUSTOM CARD SOLUTIONS. We recently had a large local software company come to us with these all-too-common marketing supply challenges, wishing for a way to better support their reps and dealers with current marketing materials. We turned this wish into reality by working side-by-side with them to update materials and develop an integrated online content management system. The simple, yet sophisticated site was customized to represent their brand, and allow reps to gain access via Intranet with a unique password. LET US HELP YOU EFFECTIVELY MANAGE YOUR MARKETING MATERIALS. In the business world, most companies find that ordering business cards are a necessary evil. You have to have them, but the process is often tiring, repetitive and costly. At Pixos Print, we have the solution to your business card problems. Our process doesn’t require clients to bundle their business card orders and sit around for weeks at a time waiting for the finished product like other printers do. We print the orders as one offs on demand so that our clients can get their business cards in a fast and cost effective manner while still managing the clients brand colors. So, what makes our business card process so much easier than other printing businesses? Usually, the client will receive names of co-workers who need business cards and will email these names to the printer. Then, the printer will send back a pdf proof of the business cards and the client has to distribute this proof around the office for each co-worker to sign off and approve the card design. If any changes need to be made, the client must send them back to the printer and once again have coworkers sign off on the product until each individual is satisfied. Sounds a little tedious, right? We have drastically shortened this cycle with a web to print application. Clients can order their business cards at any time online and proofs are rendered online as pdfs in a matter of seconds. Clients are able to have their whole company review the orders online, so any changes that need to be made can be made with a click of a button. Once the order is placed, we print the cards off in a fast and effective manner. Sounds a lot easier right? Why stop with business cards. Let us show you how to supercharge all of your printing needs with a Pixos Anytime web portal. 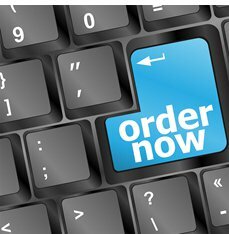 LET US HELP YOU TAKE YOUR ORDER PROCESS TO THE NEXT LEVEL. Want to bring your brand to life? Let Pixos Print show you how to use the latest printing technologies with our customized office branding solutions. Recently, a client approached us to help them showcase their brand for two new locations’ Grand Opening events. Of course there wasn’t much time, and we needed to work closely with the client to deliver superior, custom solutions – all in perfect place for ribbon cutting. To accomplish this, we listened carefully to our client’s goals and objectives for the two offices and provided a series of custom, on-point solutions that ranged from the low to high price points. We then let them take the reigns and select the option that was right for them. To keep the project moving along, we supplemented our production services with design support and brought it all home by leveraging our team of large format experts for seamless professional installation. The result was a completely custom, camera-ready solution that highlighted their unique brand. By the time the cameras were rolling, we had successfully transformed our client’s two blank-slate office spaces into well-branded showcases. From signage to presentation boards, wall decals to a custom lobby literature housing, we gave this client all the bells and whistles needed to make that big first impression they desired. This is just a small sampling of the solutions we offer. With a little help from Pixos Print, any environment can be converted into a wow-factor professional setting. LET US HELP YOU SUPERCHARGE YOUR OFFICE SPACE. 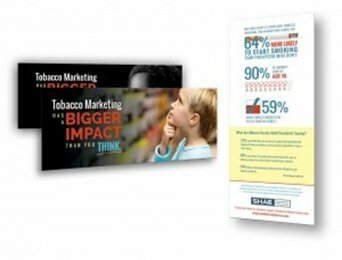 In an effort to increase public awareness, a local smoking cessation coalition recently contacted us with the following communication challenge: effectively convey statistical information regarding tobacco marketing to a wide-ranging audience via a handout at an upcoming event. Our expert design team created clean and clear infographics, portraying the statistical information in a succinct, engaging, easy-to-absorb way. This fun communicative device, paired with an impactful variable cover design (alternate cultural images for varying audiences), and an atypical shape and orientation, all contributed to the ultimate stopping power of the handout. LET US PUT THE POWER OF INFOGRAPHICS TO WORK FOR YOU.